What is this, I don’t even. Recently, the latest Detective Conan movie opened in China. 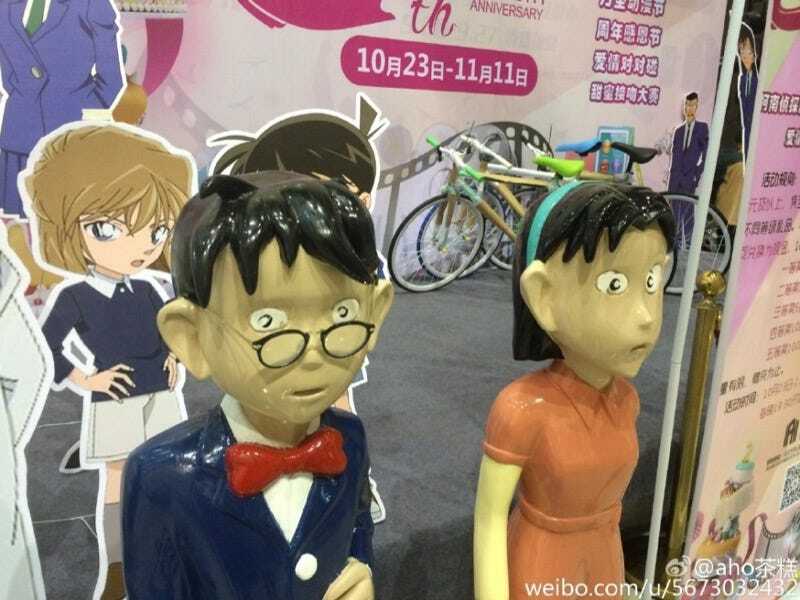 According to GamerSky (via Livedoor), one theater rolled out life-sized Conan statues apparently made at a nearby school to help promote the film. Oh boy. Obviously, Conan fans in China were surprised and amused by the statues, with some saying they’d scare away young moviegoers. Huanqui reports that these were apparently made at a nearby school, excusing the quality somewhat, but not the sheer terror.